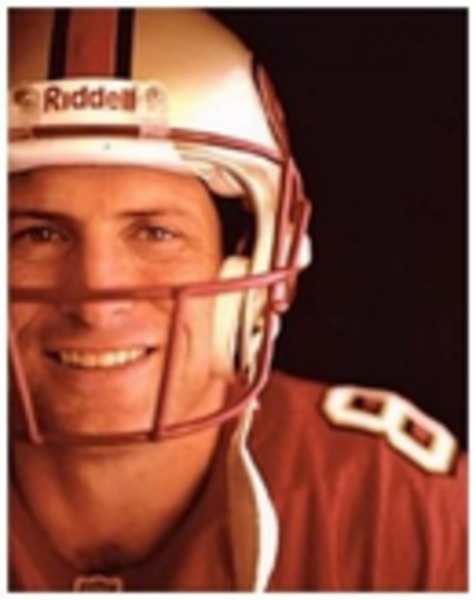 In his 15 years as a professional athlete, Steve Young experienced first-hand what communication, leadership, and the power of simple hard work can achieve. Best known as former quarterback for the San Francisco 49ers, Young envelops audiences in a world of uncompromising challenge and unmatched glory. A charismatic, inspiring speaker, Steve Young shares the tools he's used to accomplish victories on and off the playing field. Stressing the value of teamwork, he uses humor and a wealth of anecdotes to prove that no goal is unreachable. His gridiron achievements include induction into the NFL Hall of Fame, recognition as the highest-rated quarterback in NFL history, Super Bowl XXIX Most Valuable Player (MVP), the NFL's MVP in 1992 and 1994, and seven consecutive Pro Bowl appearances. Young has also set NFL history by being the only QB to have won four consecutive passing titles, the only QB to post four consecutive seasons with a QB rating of above 100, and the only QB to post six consecutive 300-yard plus passing games. Young's love of football began as a toddler. His incredible speed often found him playing running back instead of QB during his years at Greenwich High School. He is the great, great, great-grandson of Brigham Young, founder of Brigham Young University (BYU) where Young attended and set collegiate records. He was a consensus All-American and a Heisman Trophy runner-up. Young's charitable contributions are vast. He founded and chairs the Forever Young Foundation (FYF) which is actively involved in children's charities in the San Francisco Bay Area and in Utah. Recently, FYF has focused on a project in two Children's Hospitals. Both The Lucile Packard Children's Hospital at Stanford University and Primary Children's Hospital in Salt Lake City are the recipients of new, state of the art, interactive recreational-therapy rooms called Forever Young Zones. These rooms are created with the intent to provide tools for exercising the imagination of children who find themselves away from home, facing the emotional and physical challenges that serious illness brings. Additionally, he founded the Sport, Education and Values Foundation which is an official licensee of the United State's Olympic Committee dedicated to developing educational and value-based programs for America's youth. He is currently the broadcast host as well the former International Spokesperson for the Children's Miracle Network which has raised over one billion dollars world-wide to benefit children's hospitals. He is a board member of the American Indian Services. Young frequently donates his time to youth groups across the country as a motivational speaker. Young is a corporate spokesperson for high-profile companies such as Visa, Nike, Sprint, PowerBar, ICON Health & Fitness, and Sun Microsystems. He is the Chairman of the Board for Found, Inc.; an internet technology company that integrates retail stores with the internet. Frequent articles about Young have appeared throughout the years. He has recently been profiled in a variety of periodicals such as Sports Illustrated, Inside Sports, People and GQ. Young has appeared on a variety of talk shows and has dabbled in the acting world over the past years with roles in Beverly Hills 90210, Lois & Clark: The New Adventures of Superman, Wings, and Dharma & Greg. He was the studio co-host of the Super Bowl XXXIV pre-game, half-time and post-game show on ABC. He is currently a studio analyst for ESPN's NFL Countdown. Additionally, Young has written a children's book entitled Forever Young. Young was born Jon Steven Young on October 11, 1961 to Sherry and LeGrande "Grit" Young in Salt Lake City, Utah. He is the oldest of five siblings, Mike, Melissa, Tom and Jim follow in that order. When he was in elementary school, the family relocated to Greenwich, Connecticut where he attended Greenwich High School. He received both his Bachelor of Science (1983) and his Juris Doctor (1994) from BYU.